Imagine if all the patients of your hospital follow instructions, are prepared, show up for appointments and are really happy with the care provided. We take guidelines, instructions and recommendations which you (hospitals) give patients and put it right in patients’ pockets. every part of their care journey. This starts from managing lab tests and medication before the surgery to caring for the wound, following prescribed diets and planning follow up visits after the procedure. We also measure vital signs like blood glucose levels to optimize wound healing care. Our service helps hospitals improve patient communications and outcomes. Our interactive and customized dashboard allows the care team to follow their patients' progress and encourage or intervene whenever appropriate to keep patients on track. 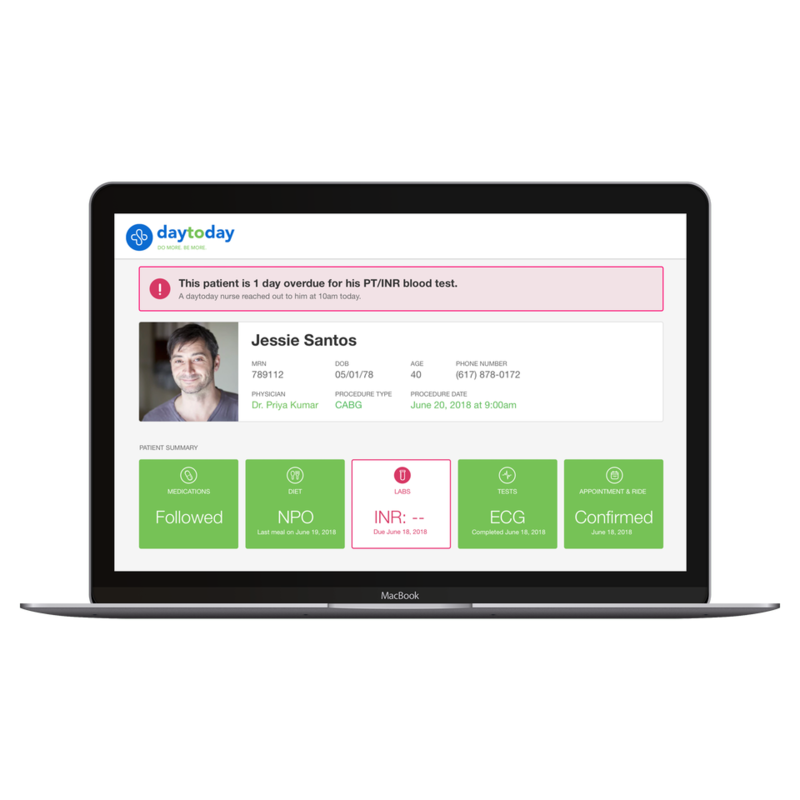 daytoday is an evidence-based solution and is rooted in clinical research. Below is medical research by leading academic centers in support of mobile based patient engagement.